Namibia's different cultures span an impressively diverse population for what is a sparsely populated country. From the Bantu-speaking Ovambo and Herero tribes (the latter of which are admired for their colourful Victorian dress) to the Damara minorities and nomadic San Bushmen, the country boasts a wealth of cultural and historical flavours. Keep reading to find out more about these diverse cultures or contact WILDFOOT for more information. The country’s largest ethnic group is the Ovambo (accounting for around half the population), with the Kavango, Herero, Damara, and Caprivian peoples all having significant populations. 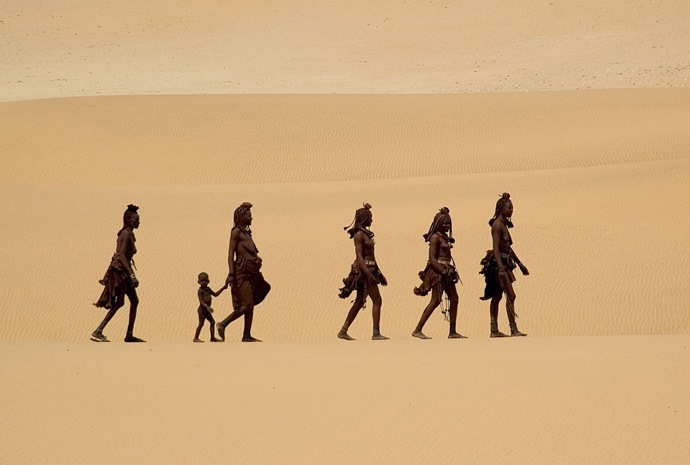 Some of the country’s smaller groups of peoples – like the San (or Bushmen) in the east and the Himba in the north – still keep to their age-old nomadic or semi-nomadic lifestyles. 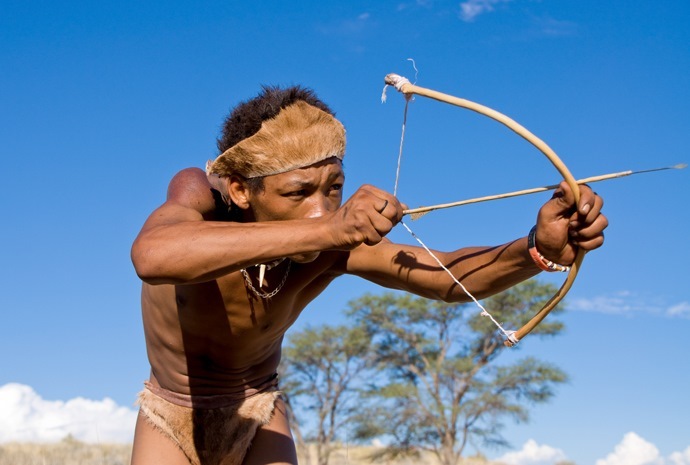 Among the San, men still hunt with bows and poison arrows, while women forage for edible plants, roots, wild fruits and berries across the Kalahari. Himba men herd cattle and goats across the dry Kaokoveld region. In clothing and decoration, the Himba are very distinctive. They often wear animal-skins and the women adorn their hair and bodies with an ochre powder. As well as giving a striking red appearance, this helps protect the skin from the sun and insects. German colonisation left its imprint with German being a widely spoken language today and German architecture and cuisine featuring prominently, although English is the official language.